Where can I go to share my pain and struggle? How can I overcome my past? I’m afraid to tell anyone what’s really going on in my life and in my heart. 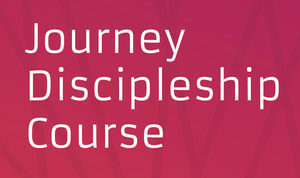 The Journey Discipleship Course addresses the roots of emotional, relational, identity and sexual issues. 13 weeks, starting Feb 24 to June 2. Cost is $175. Contact Glen Nyhus glen@journeycanada.org for more information and an application form. Space is limited.